The majority of pain that most patients experience is Myofascial Pain. This is pain from the muscles and the connected fascia. There are many patterns of referred pain from muscles to various area of the upper back, neck , head, shoulders and jaws. 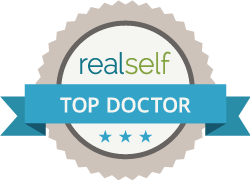 Dr Shapira is an expert in these referral patterns and understands how to deactivate trigger points for instant relief. SPRAY AND STRETCH FOR MYOFASCIAL PAIN The use of vapocoolant spray and stretch can deactivate or eliminate trigger points that are the actual cause of your pain. Dr Shapira will frequently use these techniques during your first consultation appointment. Relieving your pain allows him to better understand your specific problems and how to achieve the most rapid improvement. The majority of patients can be made temporarily pain free in the first visit. The goal of physiologic dental treatment is to make this temporary relief permanent This is an excellent predictor of the pain relief patients can expect. Dr Shapira is one of the few doctors who actually teaches his patients and their significant how to use this instant relief method of muscle pain relief. Patients are amazed when a severe headache can often be relieved in seconds. More importantly it gives patients personal control over their condition. Another amazing technology Dr Shapira teaches his patients is how to do SPG or Sphenopalatine Ganglion Blocks with cotton tipped applicators. This is the exact technique used by Dr Reder that was described in the famous book “MIRACLES ON PARK AVE” by Albert B Gerber that gave techniques for treating arthritis and other chronic pain. The use of trigger point injections is one of the most effective methods to eliminate tension headaches and referred muscle pain. Dr Shapira has been utilizing Trigger Point Injections in combination with Physiologic Dentistry to eliminate chronic pain for years in Gurnee and is excited to be offering trigger point injections in Highland Park. The use of trigger point injections is often essential in differential diagnosis of orofacial pain. Combined with Sphenopalatine Ganglion Blocks and Physiologic Orthotics trigger point injections are the missing piece in your treatment regimen. TRIGGER POINT INJECTIONS ARE A MORE AGGRESSIVE TREATMENT THAT CAN PERMANENTLY RELIEVE TRIGGER POINT PAIN. Many patients want to speed up their treatment of neck shoulder and back pain along with their headaches and TMJ problems. For treating referred pain from trigger points nothing is as effective as injecting the trigger point. A area that has caused problems for years can be fixed with a single set of injections. Dr Shapira utilizes the diagnostic physiologic orthotic as the first line treatment for TMJ disorders. The Physiologic Othotic is an orthopedic Appliance that eliminates the causes of muscle pain, primarily over use or inappropriate use of muscles. orfacial pain treatmentOrofacial Painorofacial pain chicagoorofacial pain diagnosisorofacial pain illinoisorofacial pain trigger pointsorofacial pain wisconsinTMJ and MPDTMJ and MPD ChicagoTMJ and MPD DeerfieldTMJ and MPD EvanstonTMJ and MPD Highland ParkTMJ and MPD Highland Park 60035TMJ and MPD KenilworthTMJ and MPD Lake BluffTMJ and MPD lake countyTMJ and MPD lake county ilTMJ and MPD Lake ForestTMJ and MPD LibertyvilleTMJ and MPD LincolnshireTMJ and MPD MettawaTMJ and MPD Morthon GroveTMJ and MPD NorthbrookTMJ and MPD NorthfieldTMJ and MPD SkokieTMJ and MPD Vernon HillsTMJ and MPD WilmetteTMJ and MPD WinnetkaTrigger Point InjectionsTrigger Point Injections ChicagoTrigger Point Injections DeerfieldTrigger Point Injections EvanstonTrigger Point Injections Highland ParkTrigger Point Injections Highland Park 60035Trigger Point Injections KenilworthTrigger Point Injections Lake BluffTrigger Point Injections lake countyTrigger Point Injections lake county ilTrigger Point Injections Lake ForestTrigger Point Injections LibertyvilleTrigger Point Injections LincolnshireTrigger Point Injections MettawaTrigger Point Injections Morthon GroveTrigger Point Injections NorthbrookTrigger Point Injections NorthfieldTrigger Point Injections SkokieTrigger Point Injections Vernon HillsTrigger Point Injections WilmetteTrigger Point Injections Winnetkatrigger points orofacial aintriggerpoints orofacial pain differential diagnosis. TMJ is a type of complex disorder that frequently goes undiagnosed or worse misdiagnosed. Patients feel that they can handle the popping they hear in their jaws when eating and ignore the headaches that the condition causes. The physiologic approach to treatment that Dr. Shapira uses gives his patients relief from their headaches, muscle pain, back pain, shoulder pain and all the other symptoms of TMJ. A large number of patients suffering from the condition develop problems sleeping and with chronic pain. The trigeminal nerve is one of 12 sets of cranial nerves that go directly from the brain to the body without passing through the spinal column. The Trigeminal nerve is at the heart of the physiologic system controlling the jaws, teeth jaw muscles, jaw joints, and controls blood flow to 2/3 of the brain thru the meninges. The trigeminal nerve that controls the flow of blood to the brain and can cause headaches, migraines and other types of pain when impaired, and disruption of normal function of that nerve can lead to TMJ. Your TMJ diagnosis requires a detailed history and interview prior to performing an examination. I usually like when my patients have pain to start by eliminating all or most of their pain. I then understand their problem better and can discuss what the cause of the pain and decide the best way to eliminate your problems. A patient history, also known as a medical history, lets you inform me of any symptoms you experienced in the past that might relate to the pain you feel. The check list nature of the history and exam insure an approach that does not miss important information. You also need to explain to me any medical conditions you currently have, any medications you take and any surgeries you had in the past. Depending on your specific history I will chose a long or short examination that looks at your mouth, jaw, neck and other areas of your body. If a doctor previously diagnosed you with the condition, or you received a different diagnosis in the past, arrange for your former doctor to deliver your test results to your current dentist. After the examination, the dentist will determine if you need any further testing. If a shorter exam is chosen to save the patient time and money it is possible a more thorough exam may later be required. Physiologic Dentistry uses sophisticated computerized scan that show how the jaw functions in real time. When utilized with ultra-low frequency TENS it is possible to evaluate the physiologic health of the bite. 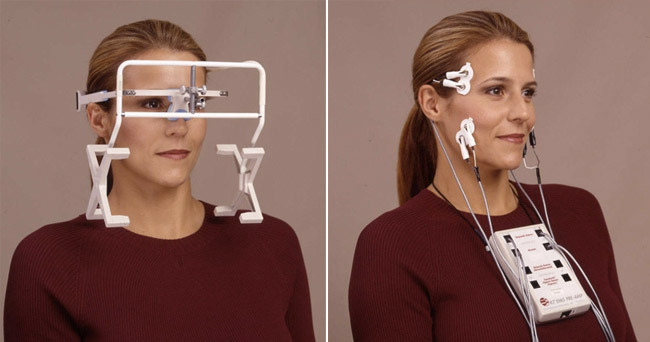 This is often used in conjunction with surface EMG that allows the TMJ Dentist to evaluate muscle health, function and most important symmetry. Sonography is used to measure joint vibrations to give functional information about joint status. 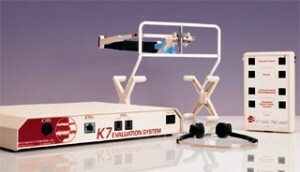 These test are more specific for treating TMJ dysfunction and eliminating pain and dysfunction. Dentists typically use several types of imaging as well, when looking for TMJ problems. A screening panoramic radiograph is usually the best study to evaluate the entire dental system including the jaw joints and to screen for other problems. An MRI scan is specifically used for evaluating the soft tissue in the joint including the disc and is usually used prior to surgery or following a motor vehicle accident . The MRI is ideal when evaluating soft tissue growths, saliva gland, lymph nodes and other areas where organic disease may exist. CT scans are used to evaluate bony structures. There is always a balance between radiographic exposure to x-rays and the information obtained and CT scans expose patients to more addition. Cone beam CT’s are becoming more popular with dentists and patients due to lower exposure than medical CT scans These tests get an inside look at your the soft tissues, bony structures and the muscular system, which helps the doctor get an idea about the cause of your problem. Other common tests include an EEG or a Pet scan. Doctors often use these exams when searching for the cause of your headache, and potential diagnoses can include cluster headaches or migraine headaches. If you also have problems sleeping, pain in your neck, shoulders or back and pain in your jaw or mouth, the doctor might diagnose TMJ disorder. Though many people think that the condition involves popping or locking of the jaw, some patients never experience any of those symptoms. A large number of patients seek treatment for their headaches and later find that they suffer from TMJ. Finding relief from your TMJ is easier than you might think. The majority of patients see 50-80 % improvement within a couple of visits and many patients have almost miraculous relief after only one treatment visit with their diagnostic orthotic. I had one patient who had a continuous headache for over 50 years that went away after one visit. Headaches, migraines and jaw pain (TMJ) are the most common symptoms. Some other common symptoms of the condition include difficulty sleeping, problems opening your jaw,ear pain and stuffiness, tinnitus or ringing in the ears, issues eating or chewing and poor speech skills. TMJ can affect people of all ages, and left untreated, the symptoms can worsen. The longer that you leave your condition untreated, the worse your problems can become in the future. It is important that you talk to a TMJ doctor or specialist as soon as possible about your TMJ and the type of treatments that are available to you. Your doctor will take your medical history, talk to you about your symptoms and perform the necessary tests before diagnosing you. Frequently, Dr Shapira will temporarily eliminate the pain during the consultation appointment to help understand the root causes of the pain. Today is the day that you talk to a TMJ specialist and finally find relief for your medical condition. To learn more about how doctors diagnose you with this medical problem, the types of treatments available to patients and what you can do to find relief, download a copy of my e-book.